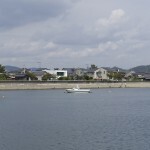 The site faces the sea and has deep depth. 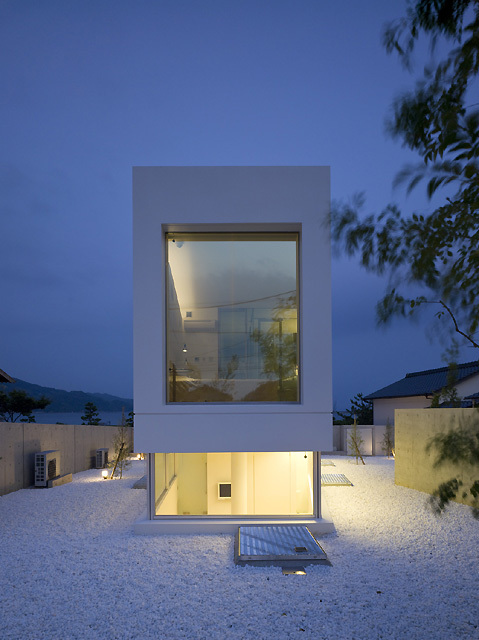 And it inclines toward the sea by the vertical interval like 2M. 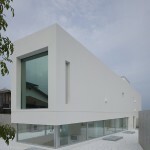 We arranged the house in the center of the site. 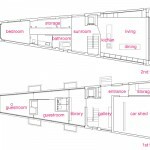 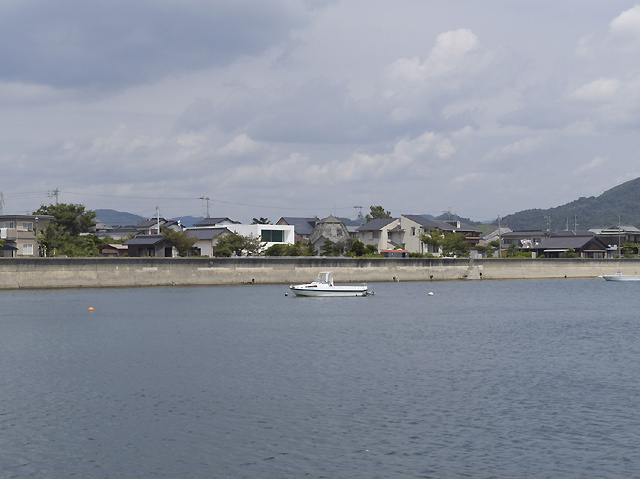 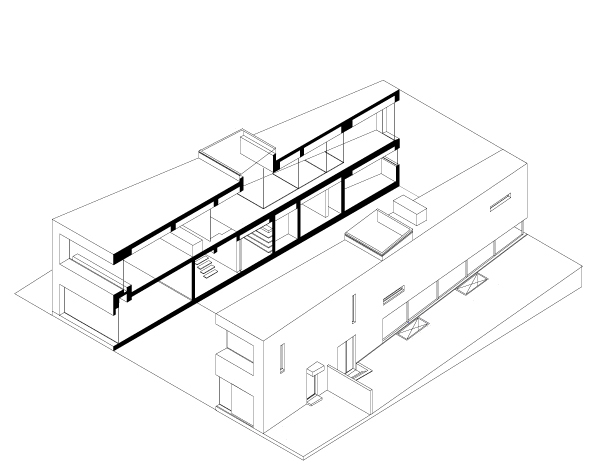 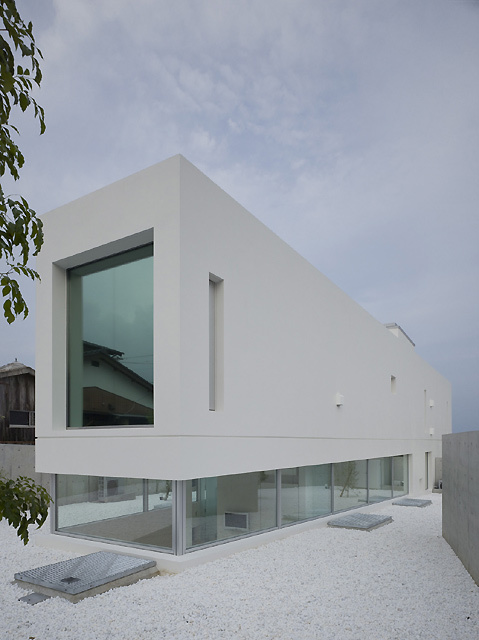 The plane shape of the house is wedge to spread towards the sea. 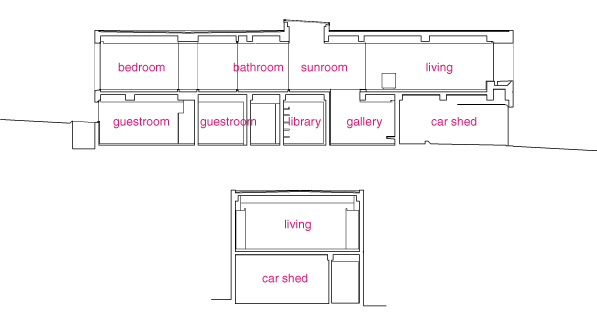 We planned the first floor as a place to enjoy a garden. 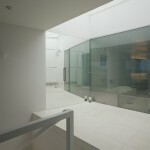 The part facing the garden of the half underground is a glass window. 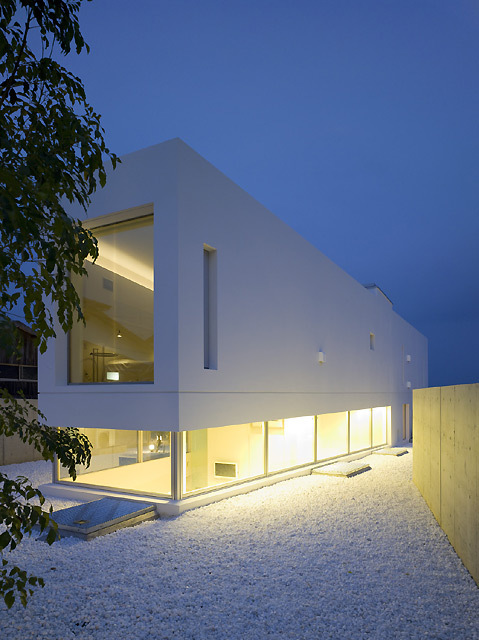 By it, a slope of the ground just appears as form of the openings. 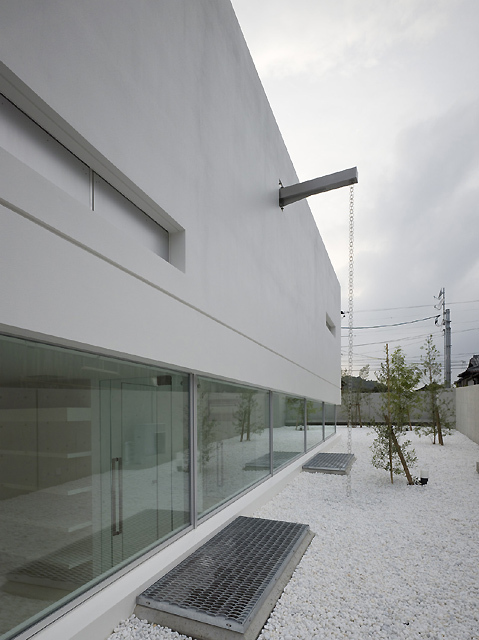 The exterior floor covered with the white gravel. 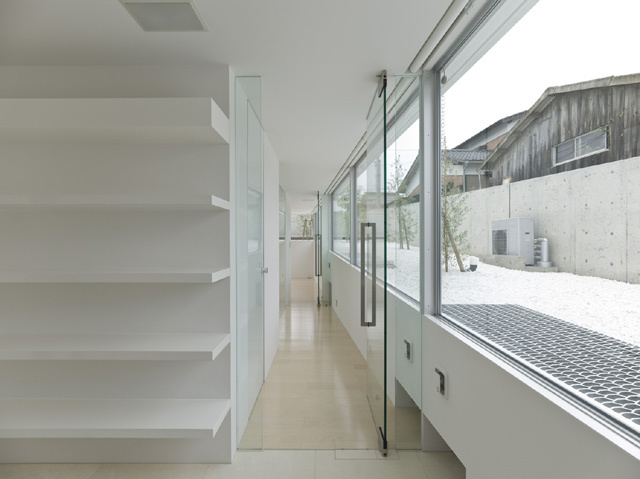 Since it is surrounded by the outside wall, outside can also be felt like the interior of a room. 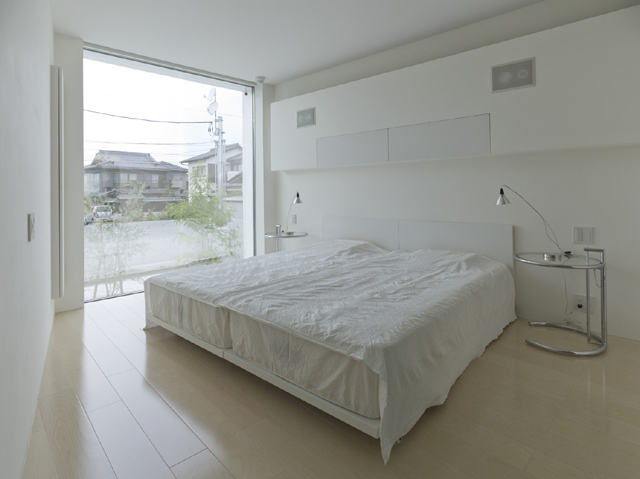 By place to stay and movement at that time, relations with a person and the ground surface change. 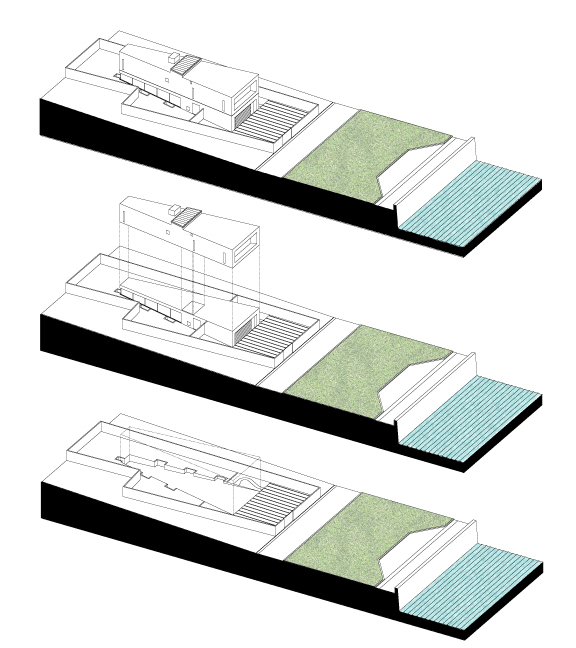 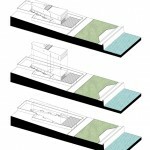 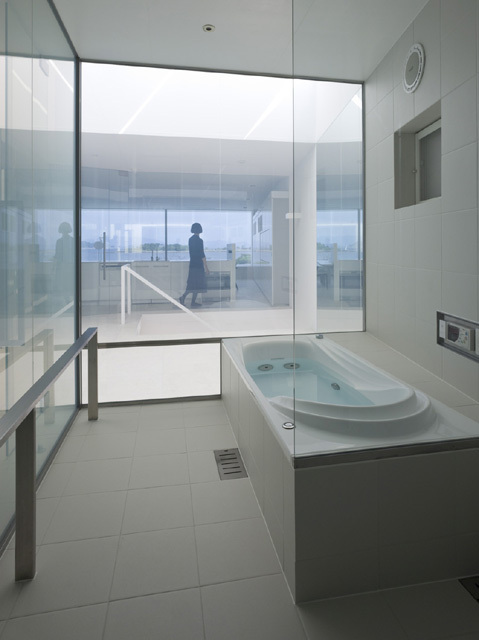 The second floor enabled it to set up a sense of distance with the sea variously in the inside of a building. 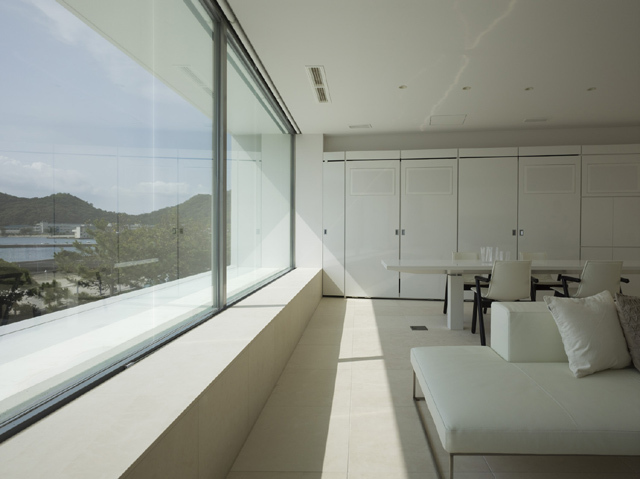 The both ends of cylindrical space long in the direction of marine are glass windows. 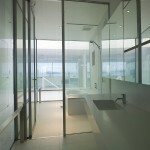 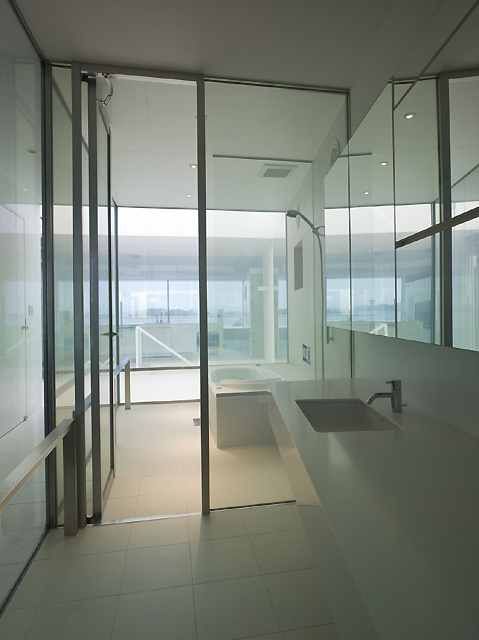 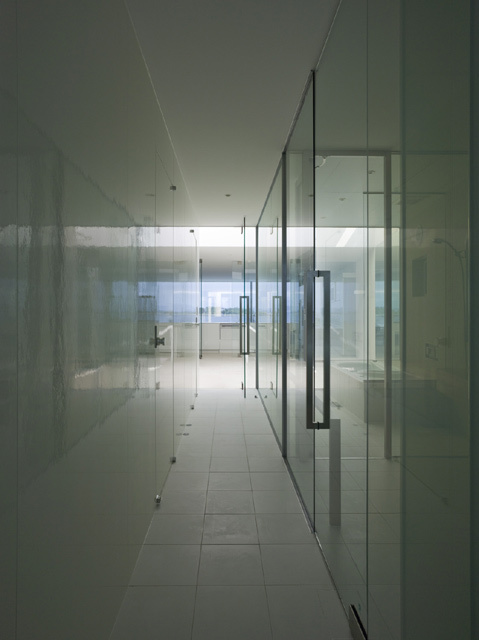 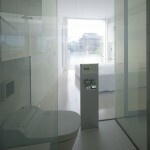 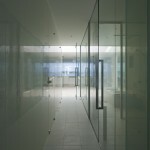 An indoor partition wall is also glass. 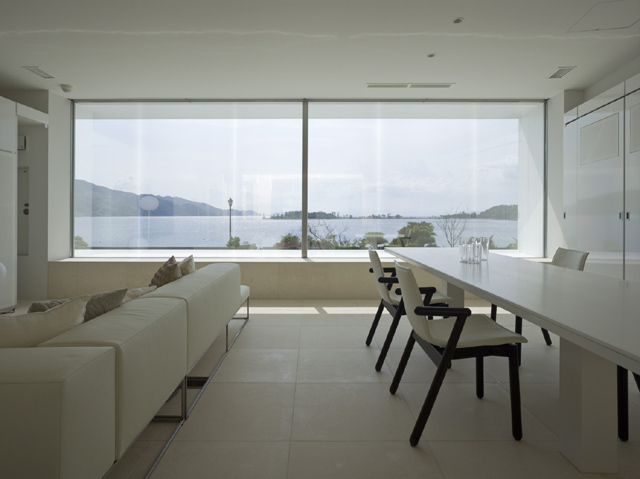 We can look at sea side and the location of the other side at the same time from the room. 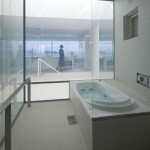 Even if the sojourner is in any place, he can see or feel the sea. 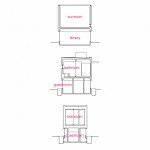 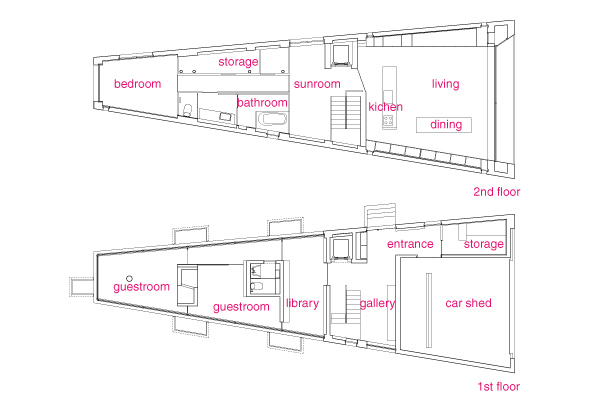 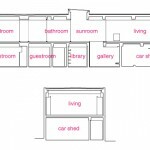 The first floor that enjoys the yard, the second floor that enjoys the sea, and 2 space were divided clearly. 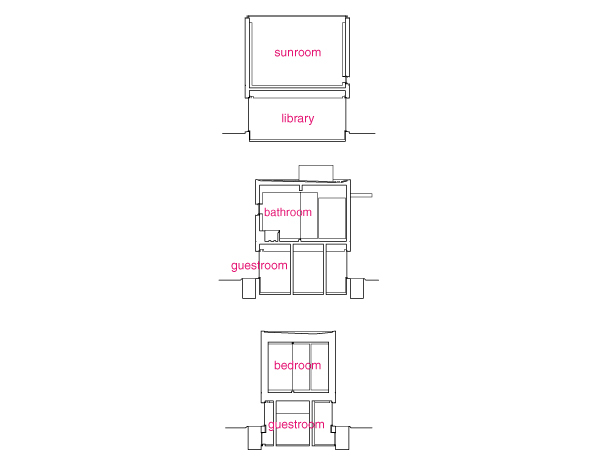 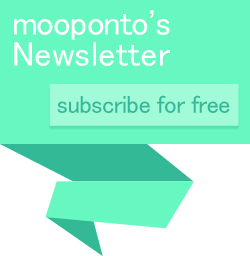 Owner enabled it to spend the time of non-every day by going back and forth mutual space with the different feature appropriate for the cottage. 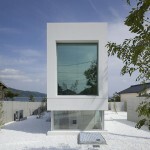 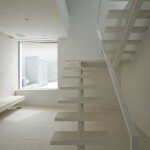 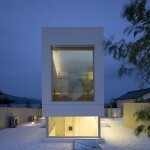 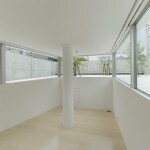 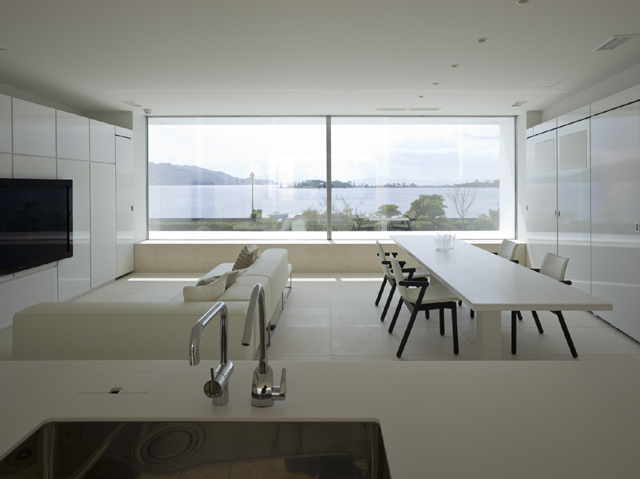 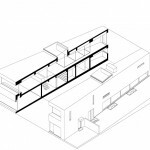 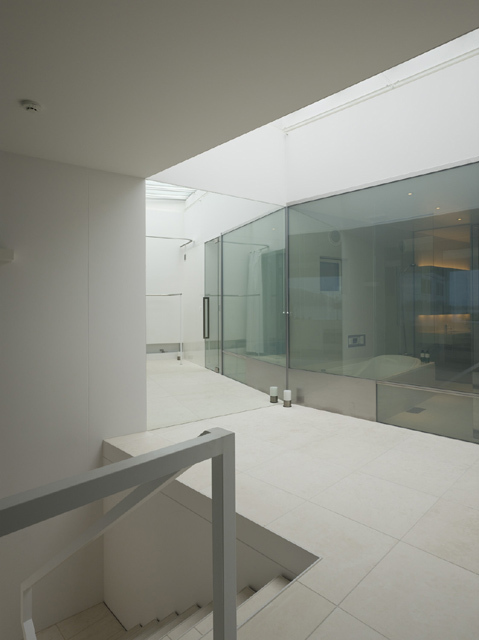 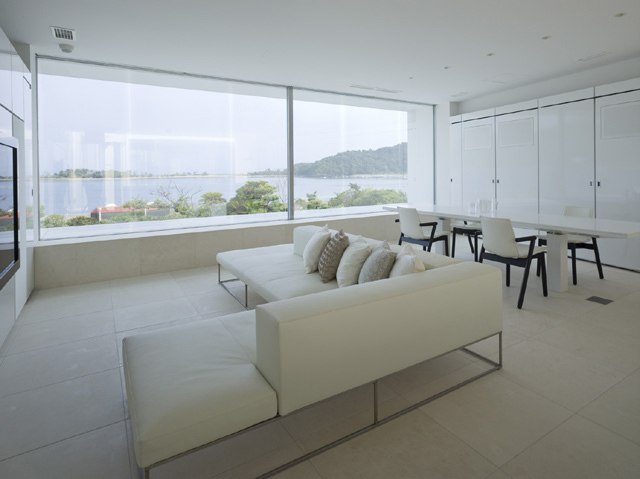 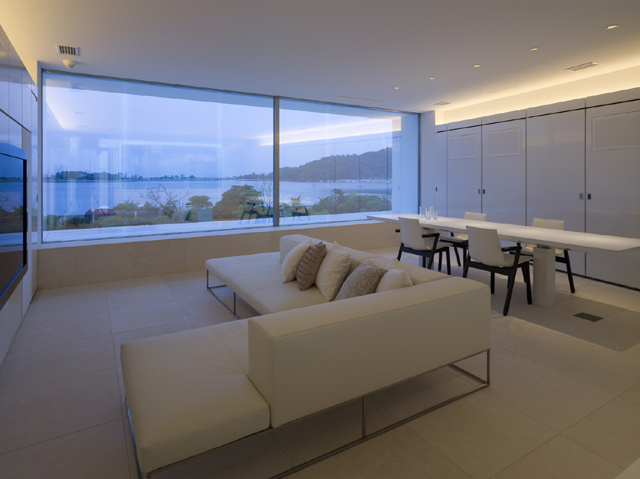 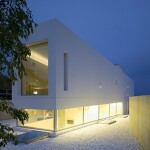 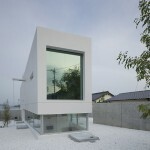 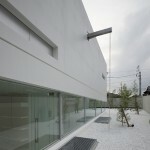 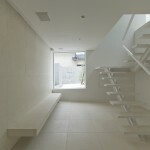 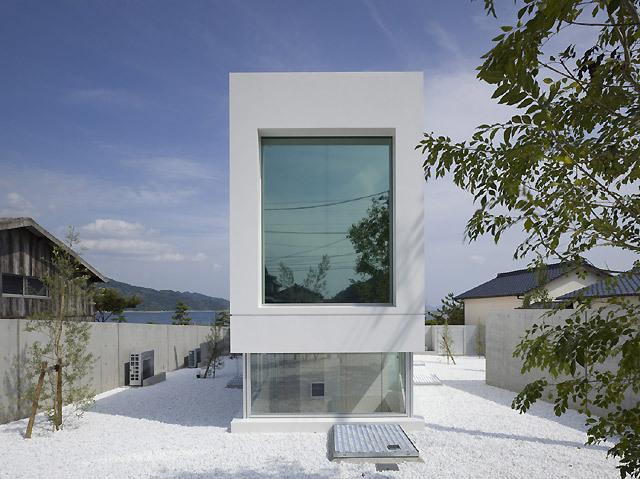 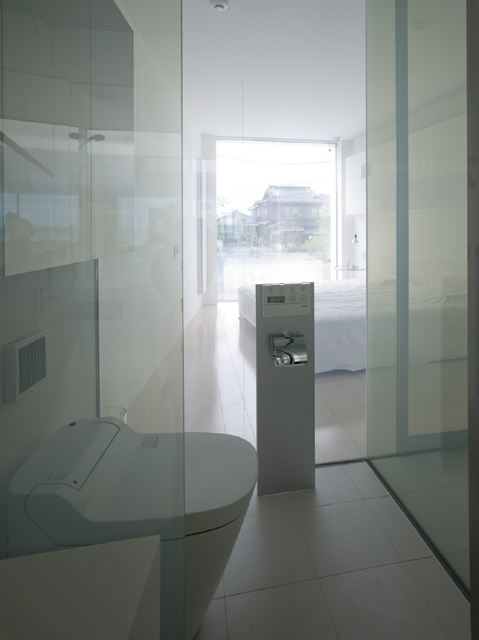 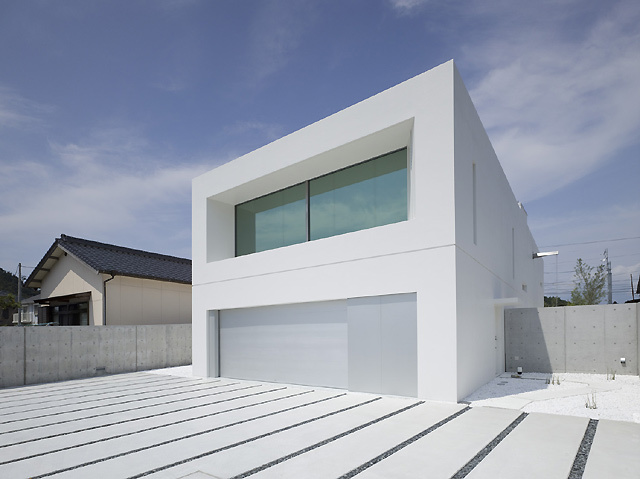 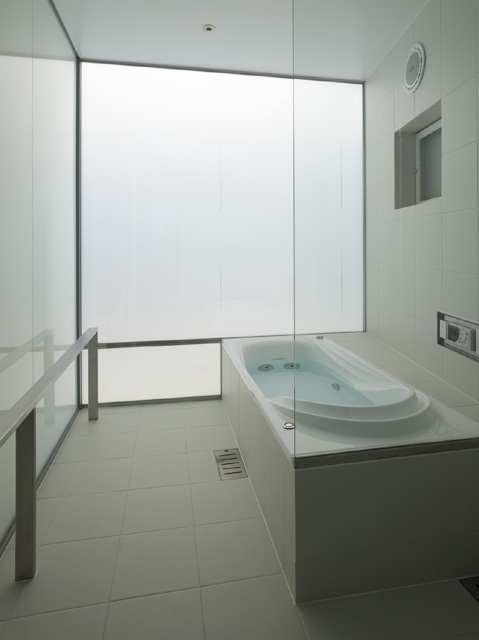 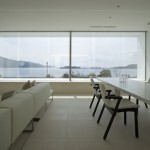 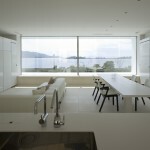 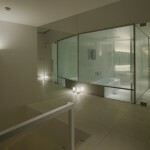 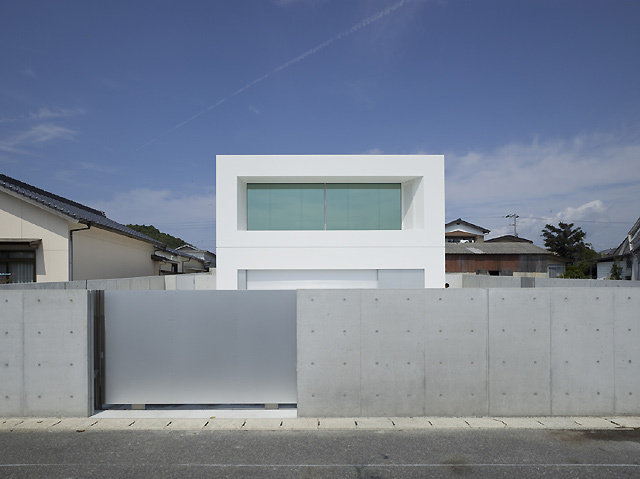 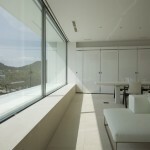 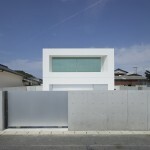 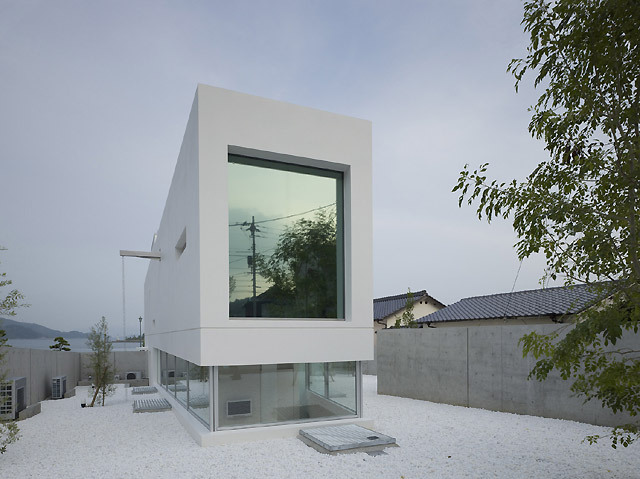 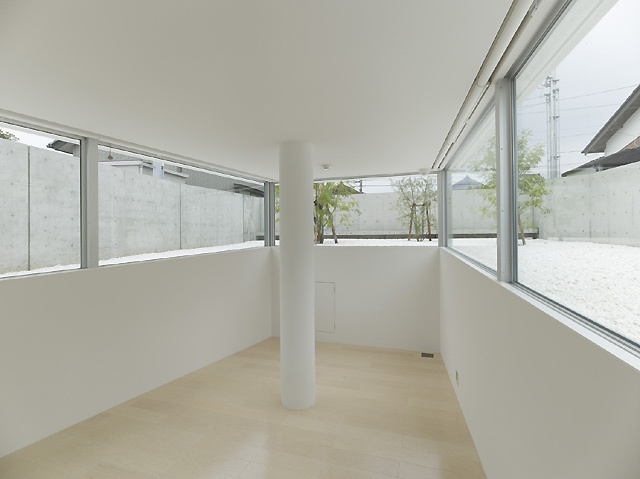 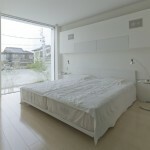 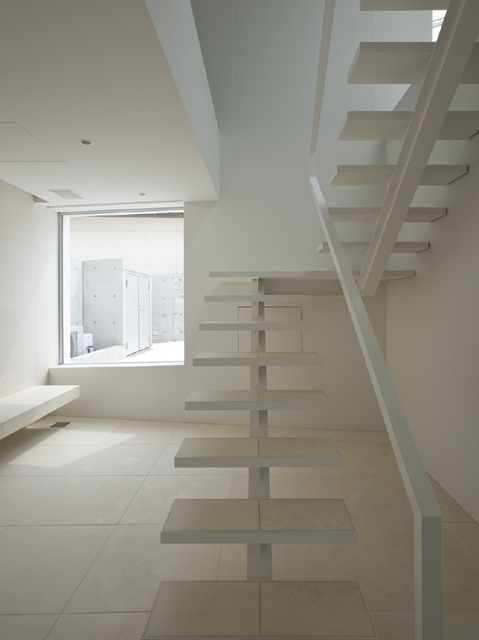 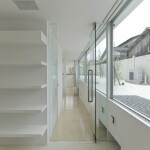 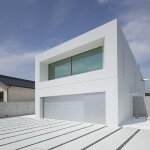 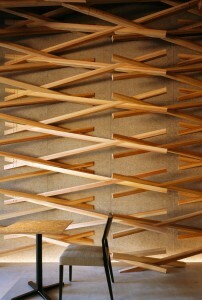 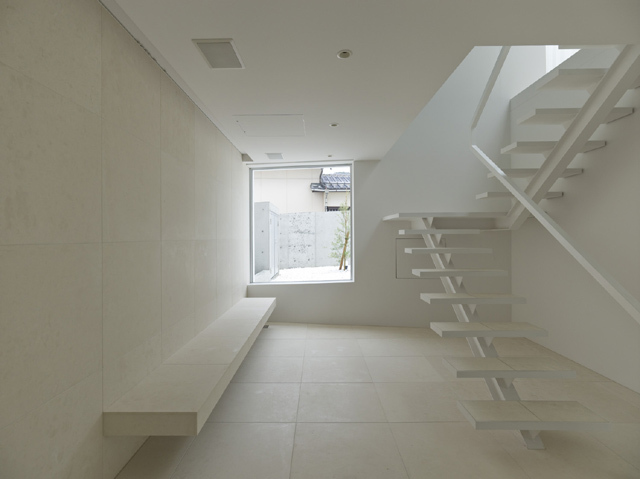 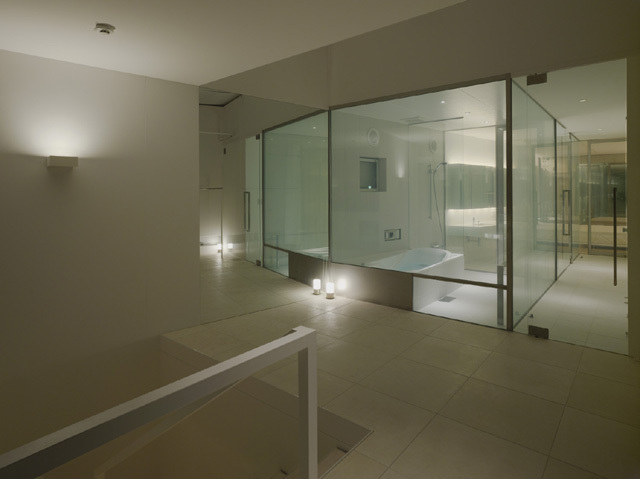 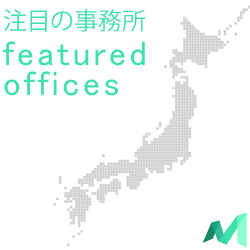 photographs: Toshiyuki Yano / Nacasa & Partners Inc.